If you are looking for the tutorial or guide on "how to create animated videos", then your search ends here. In this post, you will learn to create professional intros, animations, slideshows and music visualisations in minutes. Videos are fun and challenging to do as they must convey precise, simple and meaningful information about your business within a specified time frame. It is also fun to do because it allows freedom to express creativity. Isn’t it perfect to inject important ingredients to your business success? Video production is not an easy job at all. If you go to professional video studios and ask them to create a short video for your youtube channel then they will definitely charge you thousand of dollars. I have experienced this and already paid $900 for a 2-minute explainer video production for one of my clients' youtube channel. Well, after going through this post you will say that creating own animated videos is so easy. 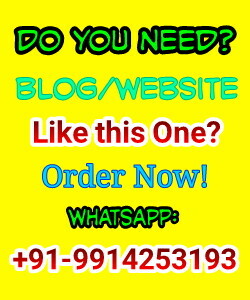 I am not going to give you here any magical tool but discuss an online tool that helps in making own videos. The first time, with the help of this tool you can also create videos for Youtube monetization (with Adsense) using this tool but you will have to make some changes that I have written at the last of this post. Intro videos are the short videos that represent your brand and logo of the business or channel. These videos convey some special messages and attract viewers to watch the full video. You can also create slideshow videos with the help of this amazing online tool. There are lots of templates that helps you in creating the videos easily. Renderforest gives you the opportunity to make the most of your offer by presenting it in a colourful and memorable way. This type of videos helps a lot in the promotion of business and products. 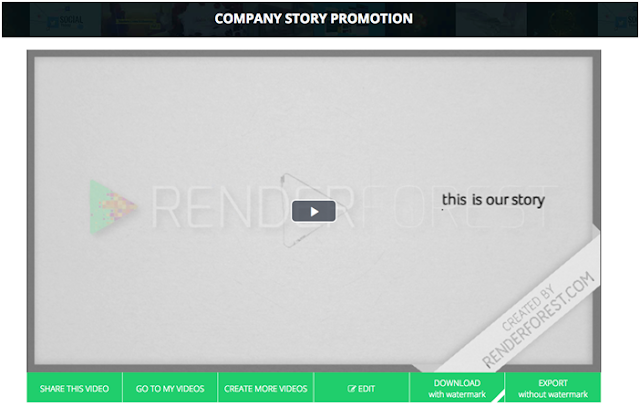 Renderforest provides a variety of animations for both personal and professional purposes. These videos are illustrations existing in a purely fictional world. They don’t have actors, set, and stages. But this doesn’t prevent then from telling great stories. By creating Mobile App promo videos, you increase your chances of receiving significantly higher download rates by attracting consumer attention and making your app stand out. Renderforest helps you for this. It also helps in creating music visualizations. The aim our Kinetic Typography is to assist you in making your message not only meaningful but also colourful and eye-catching. Whether your task is to promote to an event, market a social cause or just create a lyric video for a track, Kinetic Typography has the right animation for you. Users of Renderforest can choose from a variety of explainer animation templates including videos with characters, 3D animations, flat motion graphics and more. Happy Birthday Greetings and Much more other types of videos. How to Create Flash/Animated Banners Free! How to use this tool (Renderforest)? 1. 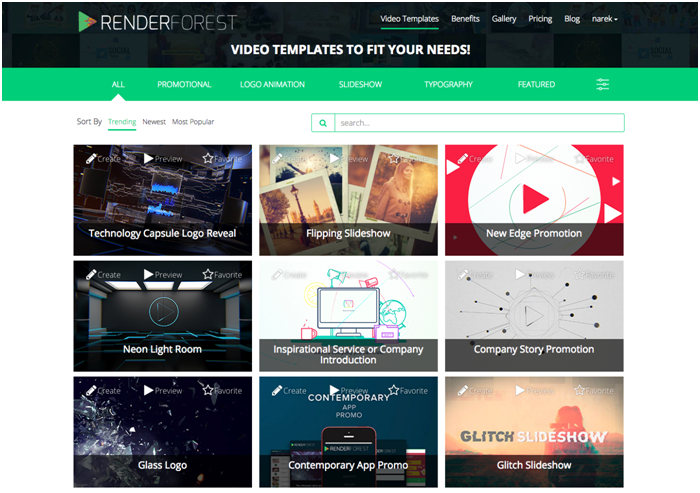 Navigate to renderforest.comvideo maker website and click on video templates page. Browse video templates by category, tags and even using search options. Preview some of them to see which one you like. 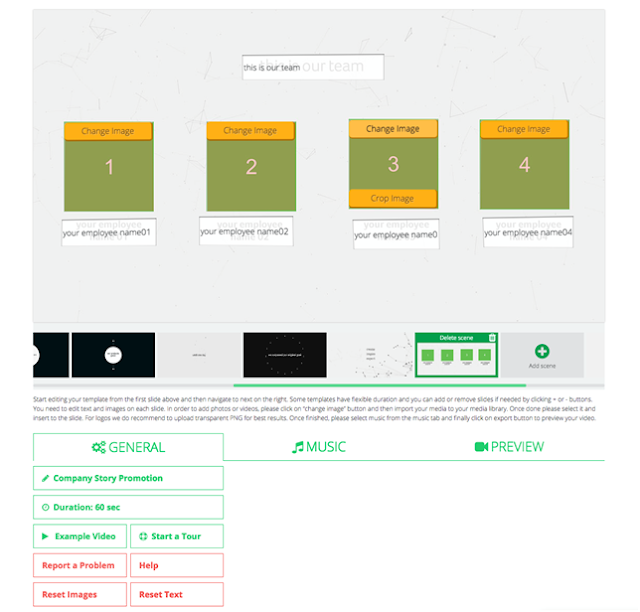 Once you choose a template create and move to the template page. 2. Here you have the option to check some great videos which are created by other users. This will inspire you to create the best videos. Then, choose a template version and click create. 3. You will navigate to video editor page. A tutorial will start which will help you through the creation process (for new users only) or you can click on start tour button if you are having difficulties. The editor has all the slides for your video, you should start editing them from the first scene and move forward. 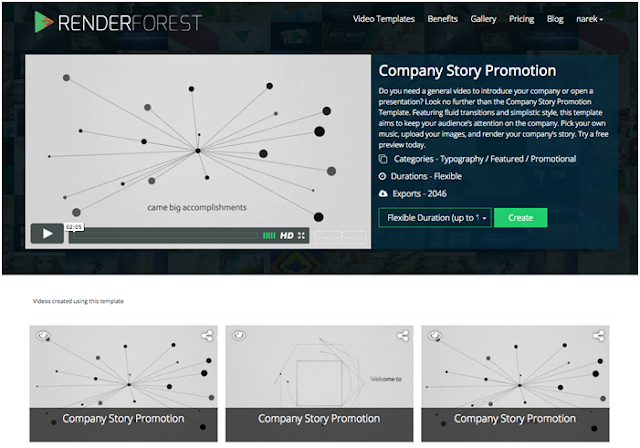 Renderforest allows you to change text, add images and even scenes to match your needs. 4. Once you finish editing, choose your music from the music tab. You can even upload your own music or voice over. Finally, click on the preview button and your video preview will be generated in minutes. You can watch, share and download your web quality video (free downloads have RF watermarks). How to create Videos for Youtube monetization using this tool (Renderforest)? As I already told that by using this tool you can create videos for Youtube monetization. Here the main part is if you are using free account still you can create videos and upload on youtube and monetize them but you can not use the voice (Audio) of that videos. Means you will have to remove audio from the video or you can add your own audio to videos before uploading on youtube. There is also an option in this tool to add your own audio to videos. 1. There will be a watermark credit to renderforest in the free version which looks ugly. 2. Videos quality will be low (SD 360). 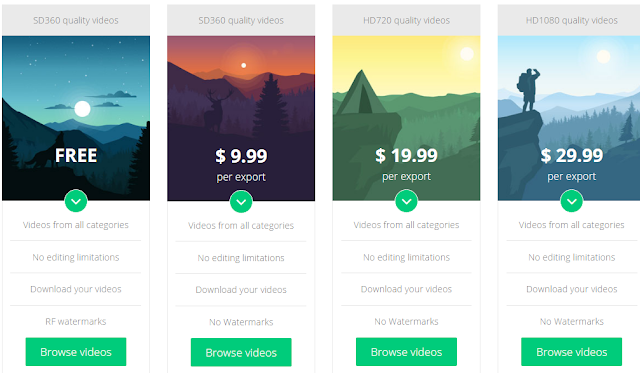 But if you invest few bucks then it will give you HD quality and without watermark videos. I have been using this tool since last week. And I can it is awesome and you must try this tool for free. Thanks for your time and we hope you will create great videos which will boost your sales or make a joy to your family. Message: I hope that you have enjoyed 'Make Your Own Animated Video: Renderforest The Best Animated Video Maker' article. However, if you want me to deliver more items, then please share my post. You can use Social Sharing Widget provided at the end of every post. After all, Sharing is Caring!